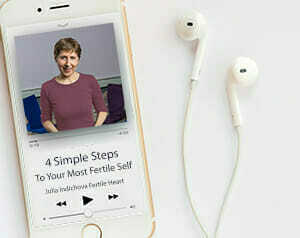 If you’re looking for company join us by signing up for FertileHeart News and receive a FREE copy of an inspiring ebook: Heather’s Gift: Five Miscarriages, One Friendship and Ten Thousand Miracles. announcements about FREE community chats, recipes and more! I look forward to connecting with you! You do not need to be birthing a family to join our community. If you’re a seeker of peace and health, we are working on more events to cheer you on in birthing your most creative, joyful Self.